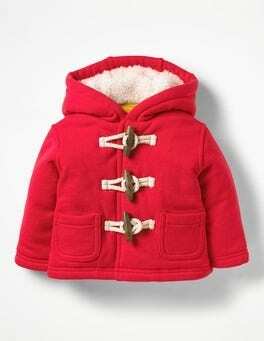 Little Red Riding Hood could only wish for a coat this cosy. We've added traditional mock-wooden toggles as well as poppers all the way down the front to keep draughts firmly shut out. A cheery striped lining adds extra colour, while a fleecy hood tops off the toastiness.